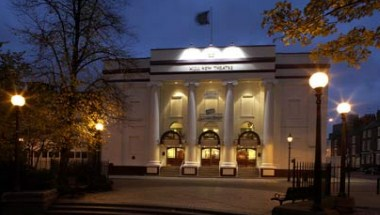 Hull New Theatre is located at Kingston Square, Hull. Whether you want to put on a production, hold a meeting or celebrate a birthday, our theatre has several function rooms available to suit you. It offers the main auditorium for up to 1159 guests. Spaces available for private hire also includes the circle bar for up to 40 people, stalls bar and cafe bar.